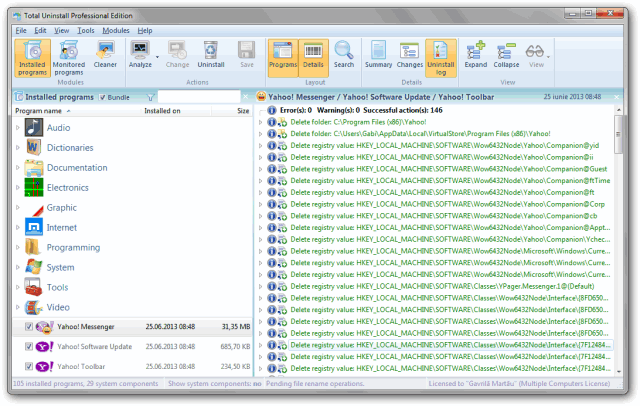 Manually uninstalling multiple programs, one by one, it is a time-consuming operation. If there are extra steps to create a system restore point, a backup copy and, to review and delete the leftovers for each program, the time is even longer. There are a few batch uninstallers that claim to solve this problem launching every uninstaller one after another, however, the user has to go through every discrete uninstall. 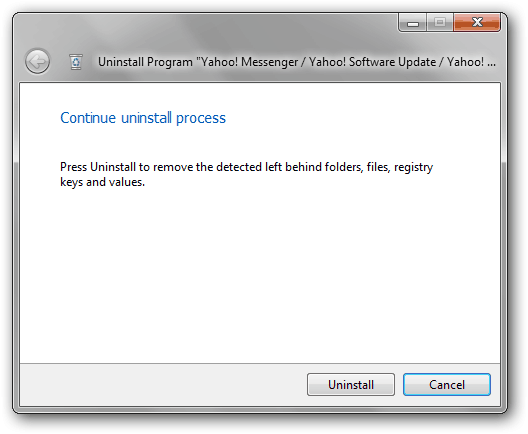 Total Uninstall handle the batch uninstall in a unique way. It will try to uninstall multiple programs with minimum user intervention. 1. Switch to bundle selection mode and check the candidate programs. Select multiple programs to be uninstalled. 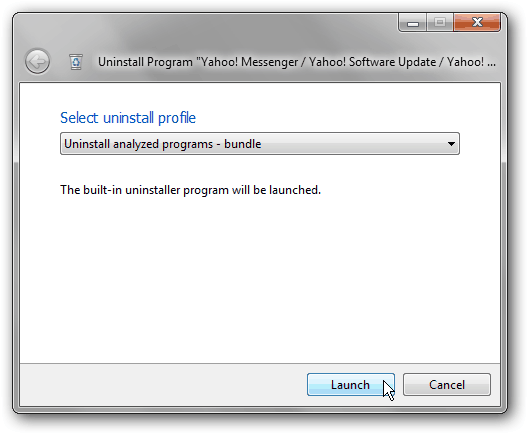 Total Uninstall will start automatically the bundle analysis process. Once the analysis is complete, all items related to the selected programs are available for review. Press the Uninstall toolbar button to open the Uninstall dialog. Total Uninstall will pre-select the standard uninstall profile for analyzed bundle. 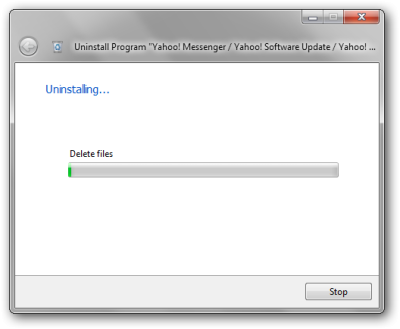 Press the Launch button to begin the uninstall process. 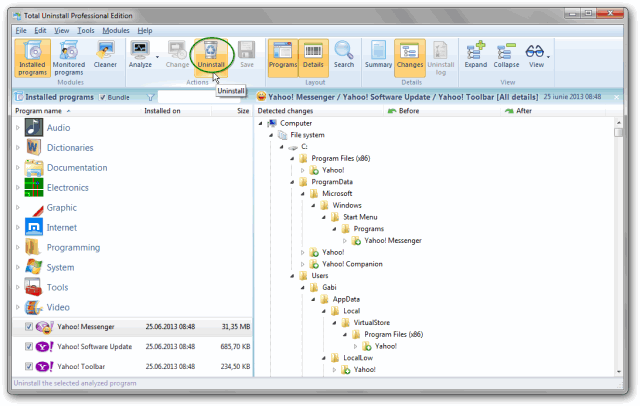 The optional steps, that create a system restore point and a backup copy of the bundled programs, are executed automatically. 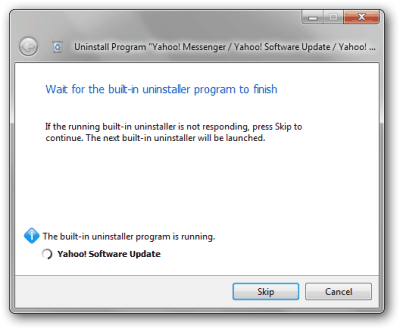 The built-in uninstallers are run one after another configured to request a minimum possible of user intervention. 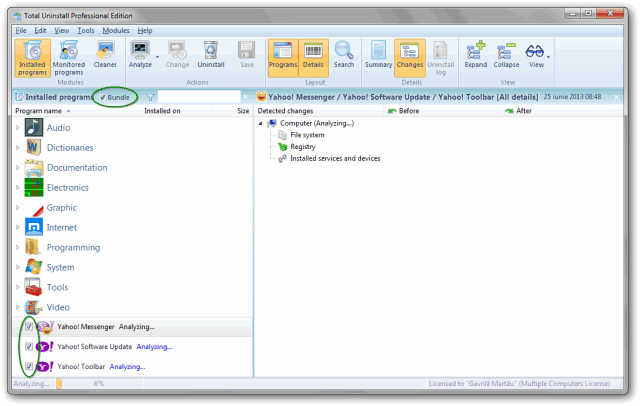 It is recommended that reboot requests to be postponed until the uninstall process is finished. 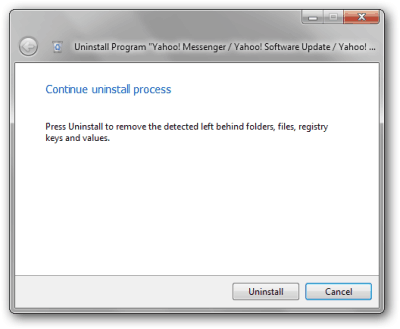 If the system is rebooted during the uninstall process, Total Uninstall, as a genuine batch uninstaller, will continue after reboot. 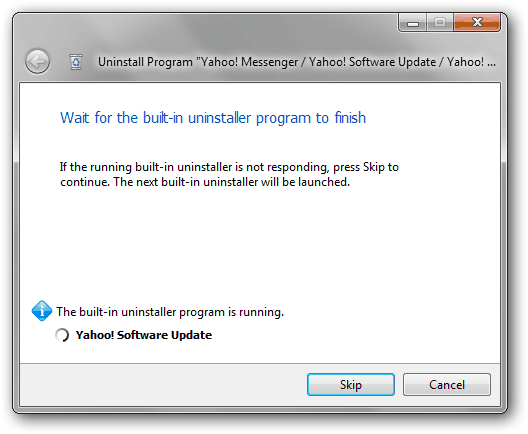 The non standard or badly implemented built-in uninstallers will still request manual intervention or will pop-up some confirmation dialogs. Press the Uninstall button to remove the leftovers.